The 5.3-litre Jaguar V12 remains an engine restored purely by those boasting bravery and knowledge. Intricate and complex, Jaguar’s 12-cylinder masterpiece offers smooth power delivery and rapid pace – but only if adhering to service intervals and ensuring steadfast maintenance is undertaken when required. Dare to handle the British powerplant without mechanical sympathy and all 241 horses will sincerely castigate you. Leave the V12 standing devoid of care or attention and you can look forward to regular bouts of automotive anxiety and mechanical trauma. 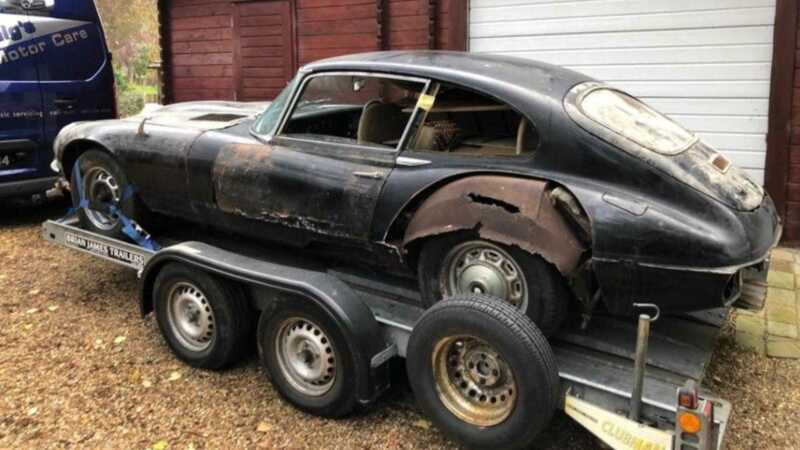 As such, we wouldn’t recommend that a DIY novice take on this Jaguar E-type Series III V12 project – unless proudly describing themselves as a masochist. Yet, if you swagger with restoration skill and yearn for a challenge, the end result after substantial toil and perspiration will land you one of the finest GT cars in existence. 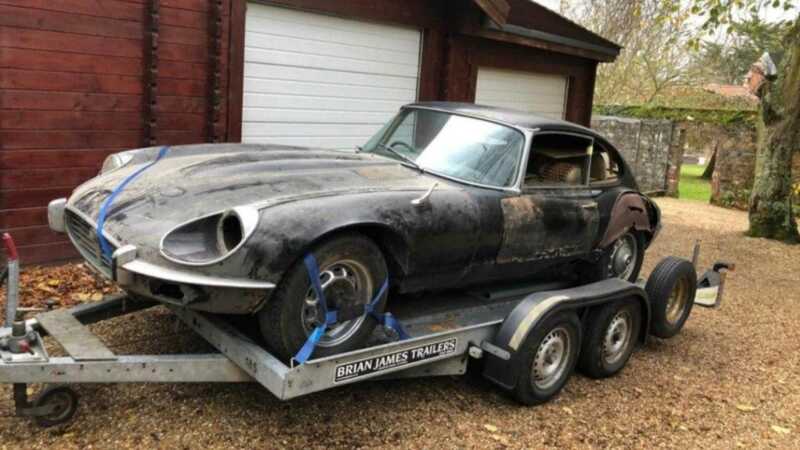 Offered for sale on eBay, this Jaguar E-type is classified as a project ‘needing a total nut and bolt restoration’. What you see in the pictures is very much what you get. An original right-hand drive V12 that has spent its 46-year life in Guernsey, with accompanying paperwork to prove such a claim, it is believed that the Jag has only ever had one owner from new. There’s little over 20,000 miles on the odometer, too. 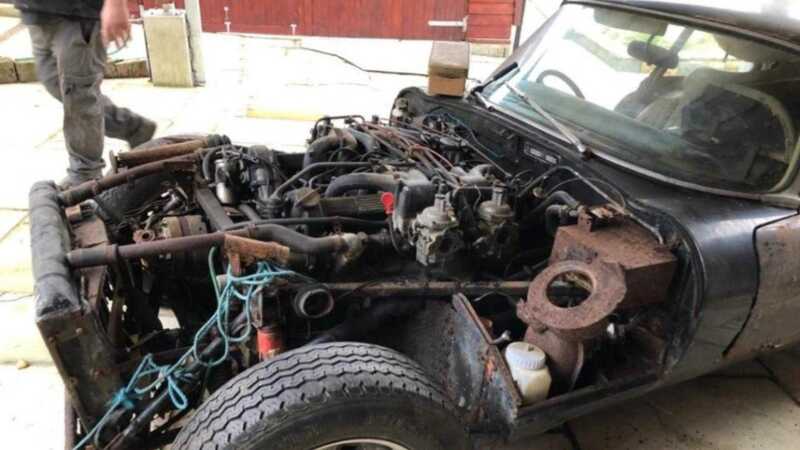 The current vendor believes that the E-type has been fitted with a replacement engine at some point, but holds video evidence to demonstrate that all 12 cylinders function without protest. Don’t think that means you are on easy street, however. The finicky engine has been sat for a considerable amount of time – you’ll still have a full strip down rebuild on your hands. The paintwork is beyond blemished, too, so expect to fork out for a complete respray. The interior has been partly dismantled and will require reinstallation, while certain outer panels are missing, highlighting the corrosion lurking beneath. 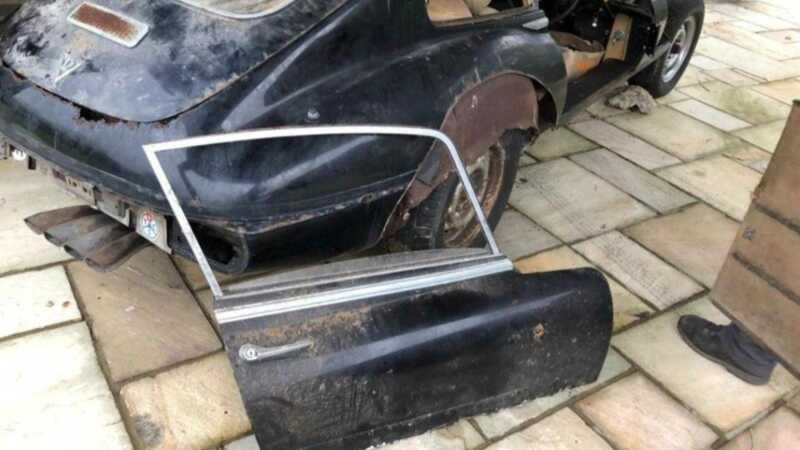 We assume that the car moves under its own power, but having languished in a barn, the braking system will require a complete overhaul; as will the gearbox, clutch and fuel lines. These aspects are infamous for breaking even the most passionate of enthusiasts. With only seven hours to go before the online auction ends, dare you take on the project Jag? 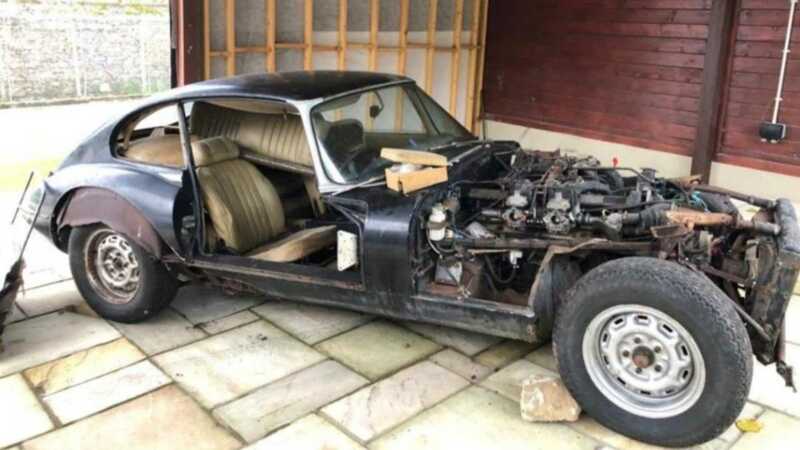 If you seek to test your skills and enjoy an ever appreciating classic, get a closer look at the dishevelled E-type here.